Prince Book Bank sells all kind of school college books and old books. 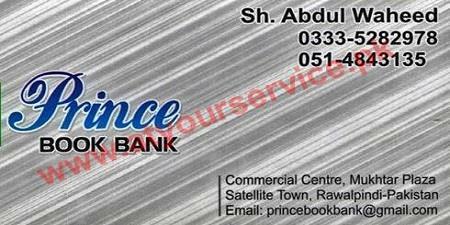 Prince Book Bank is located in Mukhtar Plaza, Commercial Market, Satellite Town, Rawalpindi. It sells all kind of school college books and old books.